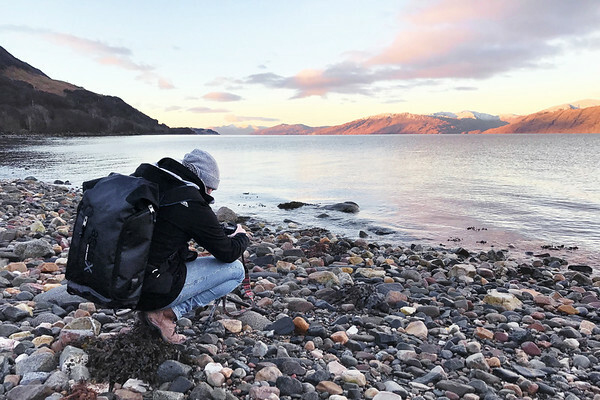 The Miggo Agua Stormproof Versa Backpack has been put through its paces over the past few weeks, travelling with me to photoshoots, on expeditions and surprisingly even for client meetings – it's not just a photography backpack! It has been a real pleasure to try-out the stormproof backpack from Miggo and without giving away too much of the article ahead... I'm definitely going to be recommending this innovative brand to friends, photographers and pretty much anyone else that uses a backpack regularly. What is the Agua Stormproof Versa Backpack? Making a backpack that is weather resistant is not a new idea - from awkward detachable waterproof covers to unsightly rolltop-style drybags that are slow-to-use and impractical for packing, they've been around for a while to say the least. The Agua Stormproof Versa Backpack certainly raises the bar. 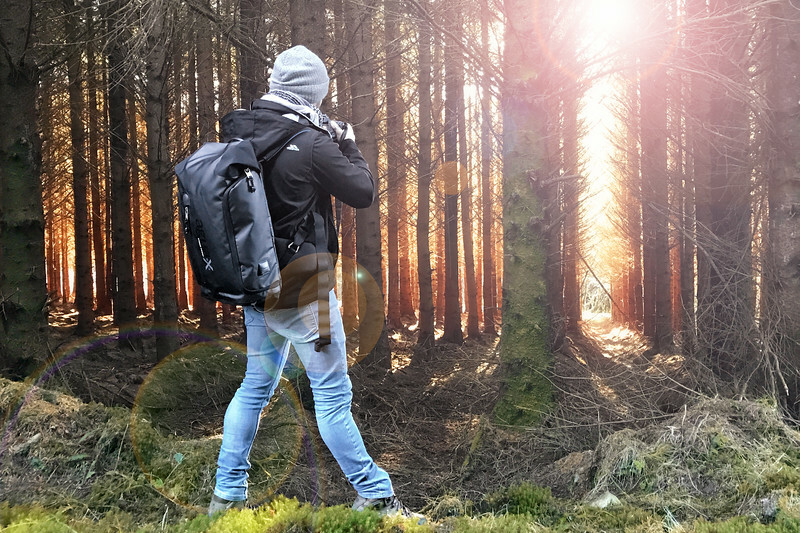 Miggo has learnt from other companies mistakes and produced a stylish camera backpack with IPX3 grade storm-proof protection that is both practical and doesn't require any additional covers. There are a number of different bag sizes and styles available within the Agua range; I have been testing out the Stormproof Versa Backpack. It's suggested as the perfect size for a medium-to-large DSLR camera with two lenses (one attached), a 14.5” laptop and additional accessories. I've been using it with a Canon 6D + 24-70 lens and an additional 70-200mm lens, MacBook and extras... still with room to spare! What Makes This Bag Stand Out? Though the Agua Stormproof Versa backpack is marketed as a photographers and videographers backpack, I've found myself using it for more than just photographic equipment. 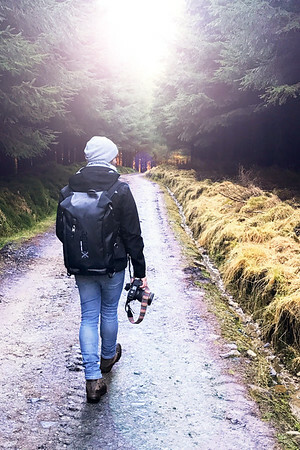 It has been with me even when there are no cameras in sight – simply because it's very comfortable to use and still fits the requirements for an everyday backpack. 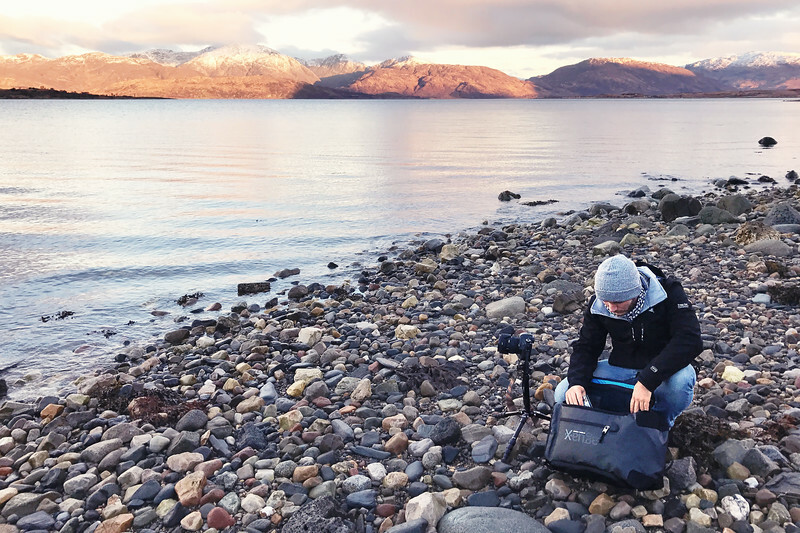 There is a removable padded sleeve within the main body of the backpack that can help to organise and protect your camera equipment – which works great, especially with the adjustable dividers. On the days when I'm carrying larger lenses (or no camera at all) I have found it easier to remove the sleeve entirely and just use the main pocket of the bag. It is still amply padded and protects your gear. The option to carry the backpack in any of three different styles is one of my favourite features. I've always struggled with single strap bags that spread the weight of your pack diagonally across your body, finding that it eventually causes aches and pains if carried for long enough. However, I'm fully aware there are others that will solely use single-strap bags... each to their own preferred style. The team at Miggo have clearly realised this and created a backpack that can be worn in 3 different styles – meaning it will be perfect, no matter what style you prefer to wear. You're able to wear it as a single-strap bag, a double shoulder strap, or even a crossed-chest double shoulder strap backpack. No matter which of the three carry styles you adopt for the Agua Stormproof Versa Backpack, all will allow a quick-draw feature for your camera and shooting equipment. It is advertised as a 3 second quick-draw, but I found that the action of swinging the bag around your body for access and retrieving your camera can take a little practice. I certainly believe it is possible for 3 second quick-draw, but just be aware that this will likely take a little getting used to first! Unlike a traditional backpack the Versa Backpack opens solely via a side pocket, instead of a top or back-opening zip as most of you are probably used to. It allows for ease of access with the quick-draw function and is sealed with a weatherproof zip – as are all of the compartments on the bag. The zips are easy to use and strong, however because there is only a single mechanism on the opening meaning you aren't able to lock zip tags together as I'd normally do when in-transit or passing through less safe areas. This did make me feel as though my equipment was a little vulnerable at times – with no way of locking the zips shut. Normally a waterproof cover could act as a deterrent, but of course there aren't any needed with this backpack! The bags sleek design and low-key but stylish finish doesn't attract a lot of attention in the same way that other neon backpacks might, and that has gone some in way in reassuring me when travelling through areas that I may otherwise have been more uncomfortable. The bag is undeniably weatherproof. I've carried it through rainstorms, snow and even accidentally sat it in a puddle... you'll be relieved to know that through it all, there wasn't even the slightest sign of moisture within the bag. The addition of thermo-formed padding at the base of the bag (and additional padding on the interior) helped to protect my equipment perfectly. I honestly couldn't be happier with the level of protection that my photography gear has within the Agua Stormproof Versa Backpack and wouldn't hesitate to recommend it to anyone considering purchasing one. I have been really impressed with the evident thought and consideration of a photographer or videographers needs when creating this backpack. There aren't only lots of additional pockets and pouches, but there are pockets that have been well thought out and positioned for ease of access and for particular items, such as your laptop, wallets, phones and USB chargers. There is even a built in connection point with charge and output cables for your powerpack; meaning it can live inside the bag without ever needing to be removed. Features like this are what really make this backpack by Miggo stand out from the rest. Overall I've been really impressed with the Agua Stormproof Versa Backpack from Miggo. It has proved extremely functional and certainly weather and stormproof – I'd have no worries caught in a downpour with my equipment safely stowed inside one of these. Some of the features such as the 3 second quick-draw are convenient but will take a little time to get used to, just like using the sideways facing pocket instead of a top or back-opening pocket in more traditional backpacks. The side access does work well and forces you to remain organised with the contents of your bag. It is lacking perhaps in security with no clear way of locking the zips shut, though it's low-key (but stylish) appearance does help to alleviate some concerns – hoping that attention of potential thieves may be diverted to more bright and overt camera bags. The functionality and versatility of the Agua Stormproof Versa Backpack is where it has really come into its own. It doesn't only deliver all the photographers-backpack uses as promised, but I was surprised to find myself happy to use it for client meetings, day trips without a camera and everyday use as well. It is well designed, extremely comfortable to carry and very robust. The opinions I've expressed in this article are entirely mine and unbiased. If you wanted to find out more about the Agua Stormproof Versa Backpack please use the links below.